Pin a Go Go Tournament Full Results! 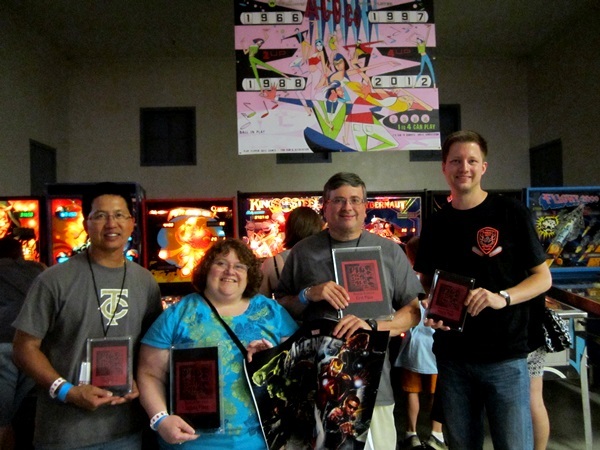 For the third straight year the Pin a Go Go pinball tournament has been an awesome success. 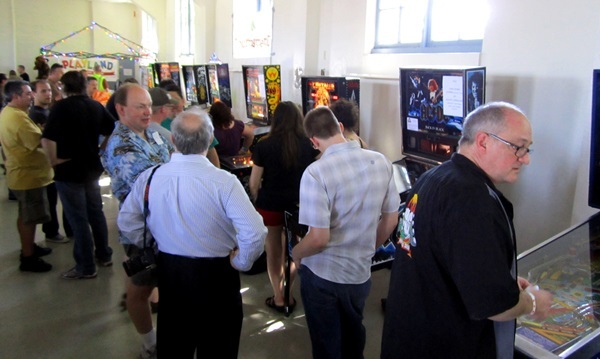 Everyone had fun, people made new friends and lots of people tried out competitive pinball. Several others I’m sure I’m forgetting. 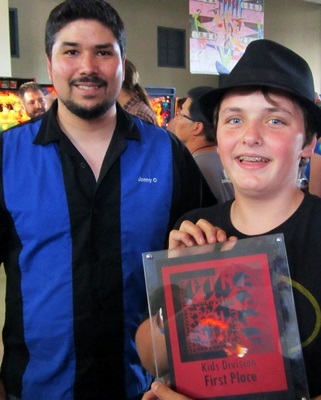 Damien (right) ran the tournament with me. So how does the whole thing work? In regular Pin Golf, you try to get the replay score with the fewest number of balls possible, like strokes in golf (hence the name). The Bay Area twist is that we use game objective goals instead. 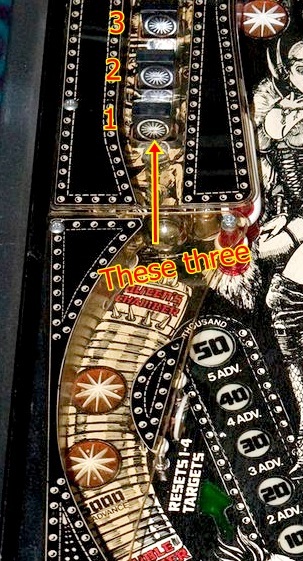 For example, on Centaur, you had to knock down three drop targets in the Queen’s Chamber (in-line drop targets behind a captured ball on the left side of the game). This particular goal resulted in a lot of swearing. If you’re playing Centaur purely for score, this is a shot you would never go for, and that’s one of the fun things about it – playing familiar games in a totally different way. 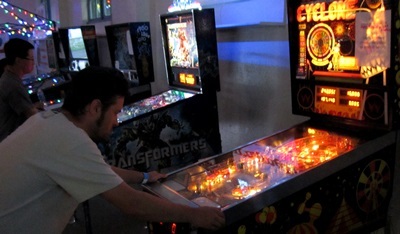 Transformers: Start Mudflaps and Skids Fast Scoring via right standups OR start Bumblebee 2X scoring via Captured Ball. The top 12 players overall advanced to the Open Finals. That’s only about 19% of the total players, so it’s not easy to qualify. The next 12 players who qualified as novice played in the Novice Finals. This allows players who qualify as novice to still have a chance to win the whole tournament, which actually happened the first year. 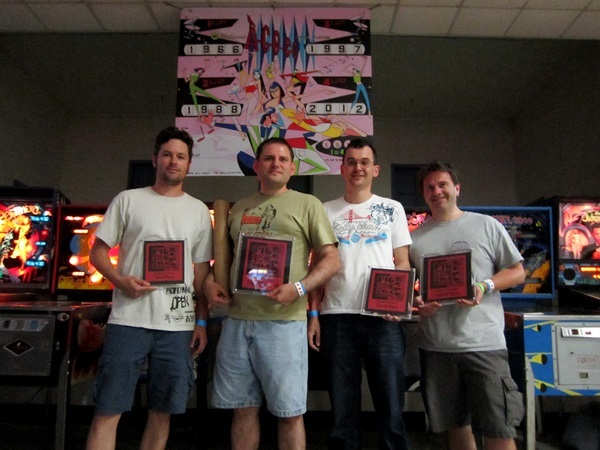 Dave Easterla won the whole thing, and it was his first tournament ever. This year, novice qualifying went down to the 36th place overall so to qualify as a novice you had to finish around middle of the pack or better. 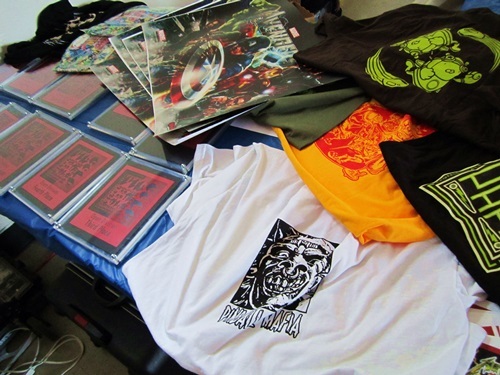 Some of the prizes that were awarded. The tournament ran very smoothly this year. I got a lot of help from volunteers. 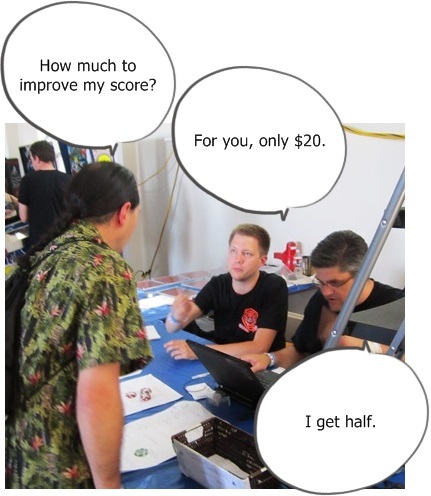 Eugene of the Bay Area Pinball Association (BAPA) made a really clever spreadsheet on Google Docs which featured some real-time statistics, such as a player’s best and worst possible ranks based on how they had done up to that point. We also fine-tuned the score entry so it was much less of a time sink. There were other improvements but the long and short of it was over 60 people played six games each in under five hours. The spreadsheet had real-time statistics. 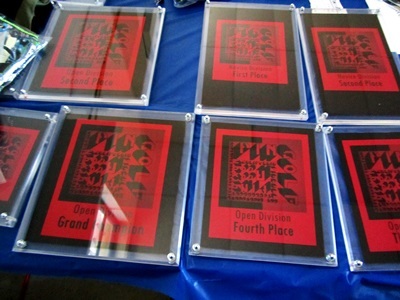 These are my best plaques ever. Thanks to Michael Schiess of Pacific Pinball Museum for loaning me his router. Not everything was rainbows and kitty cats, though. Pin a Go Go is a crowd-sourced show. 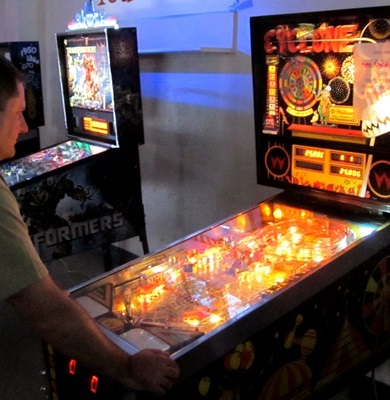 Collectors spend a lot of time and effort (and money) to bring games. If not, there’d be no show. But as a result, whether a collector comes through is not a sure thing. The show organizers have a sense of how many games are coming but it’s not an exact science. This year, the collector response was overwhelming. Pretty much everyone who said they’d bring a game came through, and in many cases, they brought extra games. There were so many games they even ran out of power. Originally, the tournament was supposed to accommodate 100 players and to accomplish that we were going to use two banks of games and split players up into two groups of 50. However, with all the games that came into the show, the tournament space had to be reduced. It was either that, or tell people who brought games to take them home. I feel that “collectors bringing games” is really at the heart of what Pin a Go Go is all about, so I didn’t see it as an option. We bit the bullet and removed half the tournament games, and dialed things down to 64 players like last year (it ended up being oversold by 1 player, so we actually had 65). So to all the people who did not get to play, I’m really sorry about that. I myself didn’t play and I had to turn away over two dozen people. It was just the nature of the beast, and an unfortunate situation as the show hits some growing pains. Next year we’ll have to rethink things so we can accommodate more people. Okay, let’s get back to the tournament action. In the Kids tournament, each player played two games each on Volley, Avengers and Johnny Mnemonic, and their better score of the two was the one that counted. They were then ranked against their opponents across all three games. Josh F and Daniel B managed to tie for 2nd! Fortunately, neither of them picked up their plaques, so I can make a new second place plaque and mail it out to them along with their Playland not at the Beach Gift Certificates. Tim C took first by a hair! Congratulations! Nick F. took fourth. He also placed in 2011. 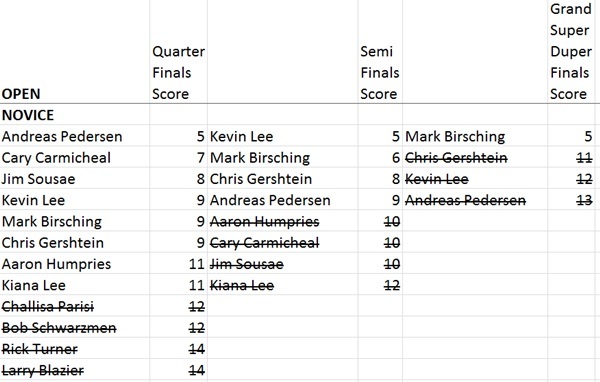 In the Novice Finals, I only caught the last couple games but on the final game on Time Machine, Mark Birching immediately got a hole-in-one to lockout the other three players and win first place. Congrats to Mark!! Next year, Mark will have to compete as an Open player. 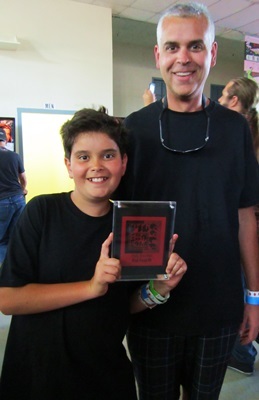 Mark got a Plaque, T Shirt and Avengers translite. Mark was super amped up on his win. Some of you may recognize Mark as one of the organizers of California Extreme. The big surprise Open Finalist this year was Kyle Takigawa. He has no IFPA record so presumably this is his first tournament ever and finishing qualifiers as the 4th seed is an amazing feet. Brenn Oosterbaan was visiting from the Netherlands. 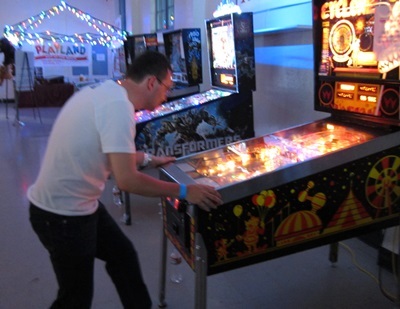 He’s currently ranked 69th in the world and recently finished 7th out of a field of 192 at the German Pinball Open. No surprise he made the finals! Usama Farage was eligible for Novice but finished high enough to compete in Open. He also won the bodybuilding award. In the Final Round, nerves and fatigue really start taking their toll. On game one, all four players got a hole-in-one. That basically makes the margin of error that much smaller for games two and three. Game two was on Cyclone and both Josh Lehan and Chris Heilig finished the goal in two balls. Tim Hansen set several house ball records and Brenn Oosterbaan also struggled. They both got a 6. Brenn Oosterbaan in the final four. Josh and Chris were still tied going into the final game on Centaur. Tim and Brenn were most likely fighting for third and fourth place. Technically they could still win but it would mean they had to get a hole-in-one or a 2, and both Josh and Chris would need to both get a 5 or 6. 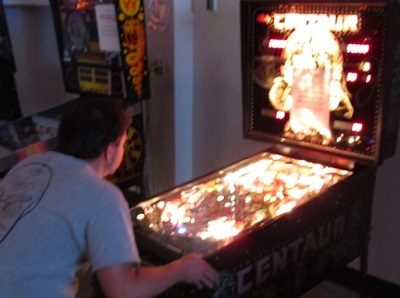 All four players could not destroy Centaur. It just kept pounding them into the post-apocalyptic radiation-filled dirt. After none of the players got the goal on ball two, Josh and Chris knew they just needed to finish before the other to win the tournament. Finally, Josh took down the goal on ball four, and since Chris had already played his ball four, that was that. 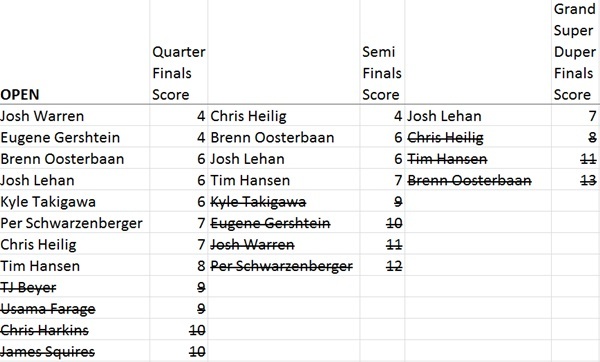 With Josh’s win he cracks the top 100 on the IFPA Scoreboard and is now a probable for the IFPA Finals. Below are the full results. 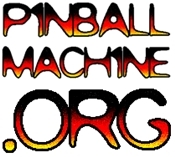 Note that for world pinball ranking points, only novice qualifying finish counts towards rankings. ← Pin a Go Go is here! 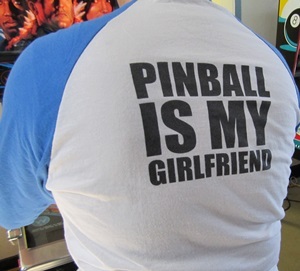 Jeff, the Oakland Pinball Mafia are on their way now. Which leg do prefer they break? Great job, Jonny, Damien and all. Really enjoyed the show and tournament. And for the record, Kenley never paid us our $$, so we’ll be collecting in the future. I awarded Brenn with an Avengers translite to soothe his frustration for not making the podium :) It was a pleasure to play with him, very cool guy. I have never hated and loved a game at the same time as much as Centaur! I want one now. Maybe to play for a while. Maybe to drop off a cliff. Maybe I will play a ball, then push it off the cliff. Always great to play with Tim and Josh. Getting better is a direct result of playing with players that are better. Thanks guys for being that for me. It used to be the ELK, but he sadly deserted me as a mentor to run off to Denmark and herd sheep (or whatever they do there). Can’t believe what Pin a Go Go has evolved into since I attended in 2010! Tourney wise it’s sounds really cool too – competitive, fun and smoothly directed! Good work Jonny O – and thanks for the fast report and great pics. Simply class. Big congrats to Josh! It really takes something special to defend a title (Mikkel tells me). 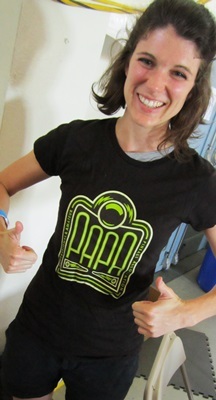 And big thumbs up to Tim Hansen and my brother EGO! Bay Area again showing amazing strength. You have a player like Brenn Oosterbaan come play – I believe one of the best European players of all time – and you deny him a place on the podium. Strong. Best little detail for me was the T-shirt Tim is wearing. Thanks Tim. Nice touch!